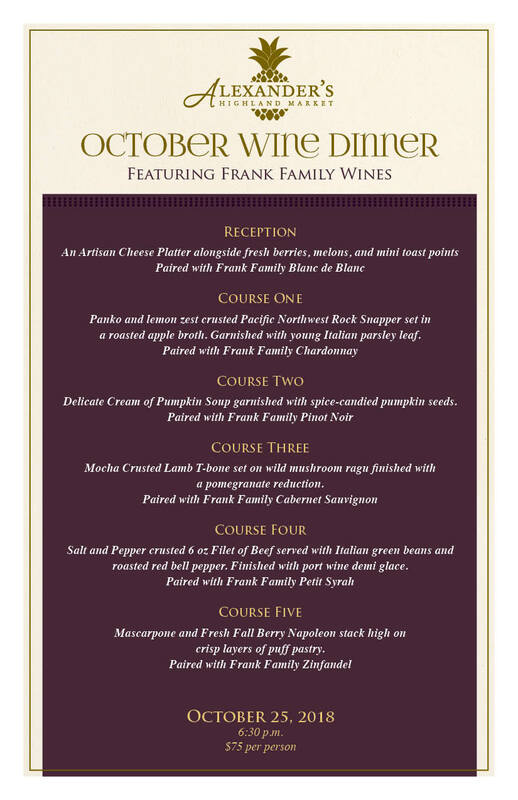 Join us as we host Frank Family Vineyards for a fall wine dinner in our cafe on Thursday, Oct. 25, 2018. 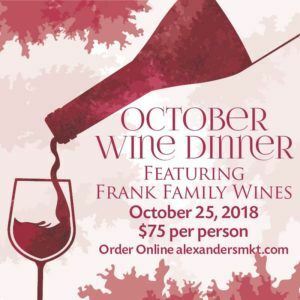 The five-course dinner begins at 6:30 p.m. and is followed by an opportunity to stock the cellar with fine wines at discount prices before the holidays. 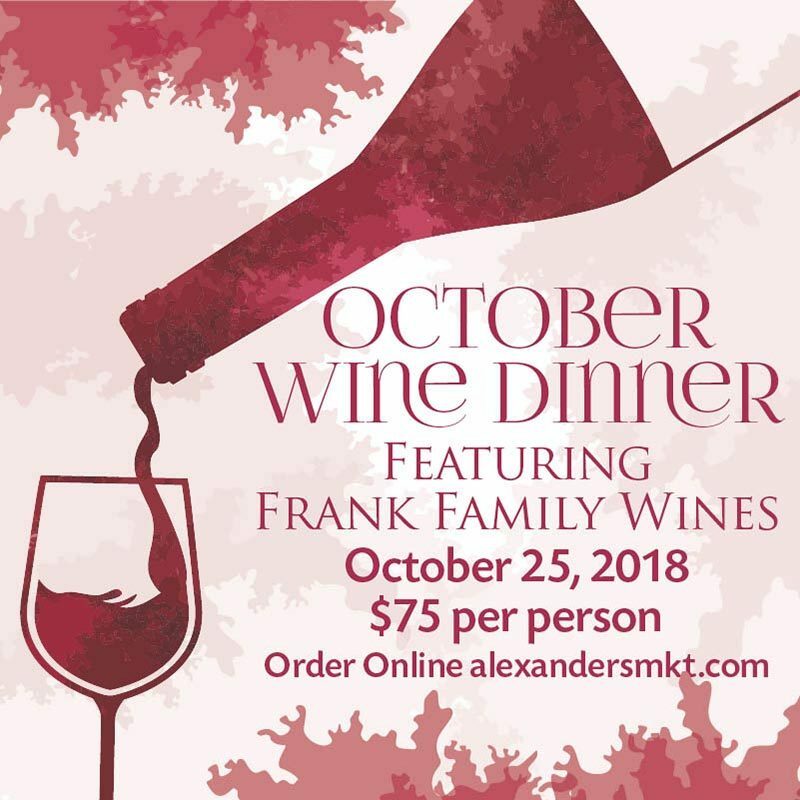 Tickets are $75 and may be purchased online here or by calling Guest Services at 225-615-7800. 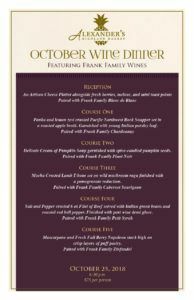 Full menu and descriptions are below.